In fact, this column is supposed to be about that last list. That’s why you’re reading it – because you want the names of one hundred songs to learn to help make you the world’s coolest bass player – or at least one who can get in a band. The short answer is: I don’t have an answer… or at least not the one you want. I can (and soon will) give you some ideas on where to go looking for a number of songs that will help propel your education as a bassist. But first, let’s be realistic about this. 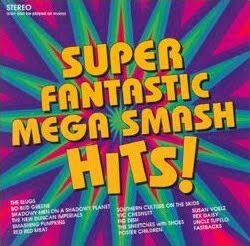 Most lists of this nature focus on songs that feature “cool” bass lines, and most of the choices are good ones, if not perfectly in line with our own tastes. 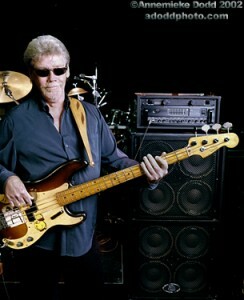 A player could learn all of those bass lines, and they’d know a ton of songs. By the end of the process, they may even know enough songs in a given genre/time period that it would be useful in a band situation. What I’m not sure the student would learn is what makes a bass line “tick.” What makes it groove, forcing the listener to move with it. And that’s the bassist’s primary role. So, instead of a list of songs, I’ve made a short list of bassists to whom I believe you should listen. I believe that, by immersing yourself in the work of these players, you will create a solid foundation of knowledge upon which you can build, regardless of the style or styles you choose to pursue. This list includes some of the players I believe helped define the bass in its formative years. They are all relevant – and appropriate – to bassists of almost any style. No matter where your career takes you, studying these bassists will help you get there. In each case, I recommend you listen to as much of the player’s body of work as possible, so that you are making an in-depth study of that player’s style, really coming to understand more of why they made the choices they did, how they worked with the drummer (and the rest of the rhythm section), and more. Here’s a fun and informative way to spend an afternoon: Find a good Internet radio station (a lot of ground stations now have Net streams) and spend an afternoon learning on the fly, grabbing all you can from each song played. You’ll learn a ton of chord progressions, riffs, turnarounds and fills. It’s also excellent ear training. Of course, the best time to do it is when they’re doing a major count-down for a specific year or decade of music. These lists can be helpful because they normally focus on a single style of music. Motown – Motown Records is one of the two pillars of early Rhythm and Blues music, and there were some really serious bass lines played on dozens of records out of this hit factory. 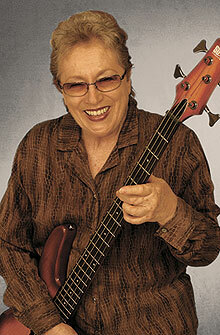 Three bassists come to mind – James Jamerson and Bob Babbitt, both of whom mostly recorded in Detroit and churned out one hit after another, and Carol Kaye, a million-hit wonder out of LA, who did work for the label when it moved some operations out to the West Coast. 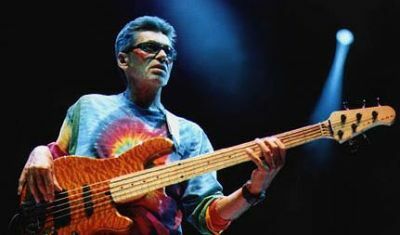 Each of these players has earned their place in the Bass Heavens, and you should be familiar with their work. So – go forth and pick up a few dozen Motown records and get to it. Stax/Volt – The other pillar of early R&B – this is the label where Duck Dunn held court for so many years. Duck is the master of understatement, able to say it all with a very few notes, yet make it groove like there’s no tomorrow. 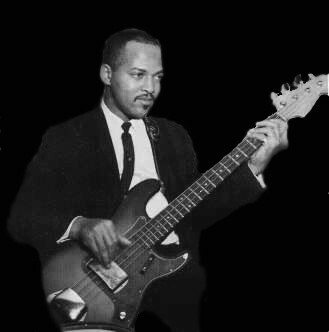 Add him to the Motown bassists and you now have four seriously legendary players you should study. Between them, they only have a few tens of thousands of hits out there. It shouldn’t take you long to learn them all. The Beatles – You don’t have to learn the entire Beatles catalog – just everything except Act Naturally and Yellow Submarine. On second thought, learn them, too. And while you’re at it, learn Paul’s entire Wings and solo catalogs, John’s post-Mop Top collection, and at least some of George’s and Ringo’s work, just to round you out. 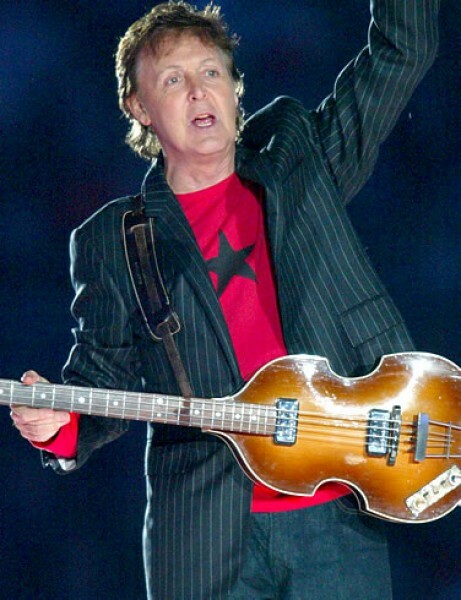 Paul’s bass work is nothing short of amazing, teaching you everything from true simplicity to the most artful moving lines imaginable. Buy the boxed set and lock yourself in your room. Have your little sister shove sandwiches under the door. 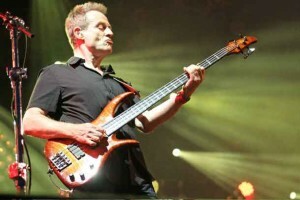 Led Zeppelin – Except among bassists, John Paul Jones is the most under-rated member of this band – while Jimmy Page and Robert Plant are in a constant battle for most over-rated people on the planet. There. I said it. And I meant it. John’s lines are crucial to the feel that was (and is) the Zep’s greatest contribution to modern music. 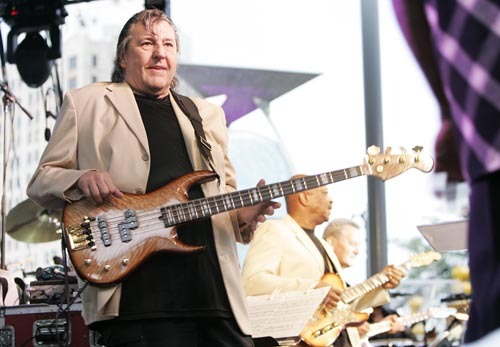 Moving from slinky boogaloo-style lines to straight ahead rockers and back, John’s lines were the backbone of many of the band’s biggest hits. Even when he was just laying it down in the pocket, he did it with such brilliance that we mortals must stand in awe. Learn at least the first four albums, if not more. Bad Company – Boz Burrell is one of those players we all listened to back in the day, but for some reason never seemed to make the covers of the bass magazines. And yet, he ROCKS. Without his signature slinky bass lines, Bad Company would have been so much worse – and not in a good way. Boz’s work is like an encyclopedia of text-book quality Rock bass lines. They all employ the same notes we all use to create Bluesy lines, and yet he has a unique style. His note choices are a bit different; his rhythms and slides are slightly off-center from norm, but in a very pleasing way. Start out by learning everything on the first four albums. Learn the intricacies of his style and compare them to the “norm.” Let him inspire you to find your own voice. 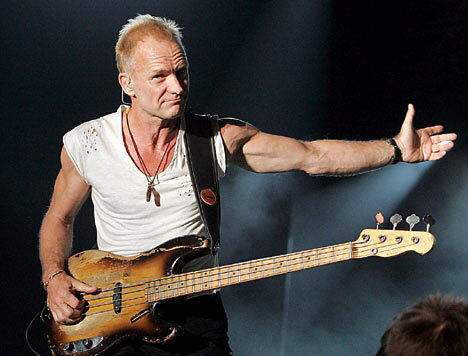 The Police – Gordon Sumner (aka Sting) – is probably best known as a songwriter and singer, and only as a bass player second to that (except for those of us who concentrate on the bottom). One of the reasons is that Sting plays only the notes that are absolutely required, and no others. That means he plays a lot of whole notes. Yeah, I know… how dare he propel a song with whole notes?!?! Even when he’s pounding eighths or sixteenths, he eschews flash for its own sake, preferring to lay the most solid foundation he can. For good measure, learn the entire catalog, even the later stuff. But start at the beginning so you can see how Sting’s writing and bass work evolved over time. Obviously, there are dozens of great players missing from this list. After you’ve gotten to know these eight well, you can begin to study other players who interest you. But no matter where you want to go, starting with these bassists will help create a rock-solid foundation on which to build your chops. Here’s why this list is important: As you work your way up to two dozen songs from each these bassists, then fifty each, then 100, you’ll learn more than just some killer bass lines and riffs. Over time, you’ll learn how great bass lines are created. And that’s what separates the greats from the rest of the pack. 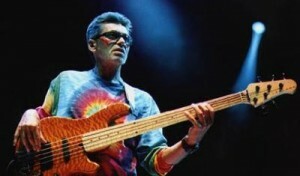 Because if you want to be a truly great bass player, you need to know more than how to play a great line. You have to know how to write them. And that’s what these players can teach you. So, hit the record store – or iTunes – and get yourself some new listening material. Write your charts and learn your parts. Go forth and play loud! And don’t forget to have some fun along the way.